An informed buyer becomes a successful owner. Planning To Buy A Business In Florida? Buying a large business may be the most important decision you’ll ever make. Anyone can give you advice on buying a business, but only an expert can guide you through the transaction and give you the best professional advice while buying a business. That’s why more and more people are looking beyond the opinions of friends, accountants, and lawyers, when buying a business and are turning instead to a professional and trusted Florida Business Broker, Cress V. Diglio, A Certified Business Intermediary and Merger and Acquisition Master Intermediary when buying a business. Find the Right Business to Buy. Start Your Search Now! Cress V. Diglio will introduce you to businesses that match your individual interests, goals and capabilities. He makes every effort to provide you with complete, pertinent information on a target company’s financial performance, staffing, facilities, equipment, inventory, product lines, customers, and market areas served. In other words, he will provide all the information to determine if a business is the right acquisition candidate for you. With the highest degree of integrity, ethics and professionalism, Cress V. Diglio’s goal is to augment your knowledge about your purchase and reveal your individual strengths, needs and desires. To help you understand what you’re getting into, Mr. Diglio will utilize his custom buyer profile which takes the focus off the company you’re buying and places it on your capabilities. This innovative process helps eliminate bad transactions so you’ll never have to settle for acquisitions that cause you more stress than they’re worth in profits. What are the benefits of buying an existing business? Less Risk. With an existing business, you already know the actual performance of the business. You can look at the tax returns, profit and loss statements, etc. Established Brand. Upon purchase, the long term benefits of any marketing, existing relationships, customer and vendor base the prior owner established, will transfer to you. Hit the Ground Running. Buy an existing business and you can start working immediately focusing on improving and growing the business without delay. Trained Employees. One of the most valuable and important assets of an existing company is the people. With the right team in place, you will have an easier time implementing growth strategies. Asset Transfer. When buying an existing business, coveted assets are transferred with the sale. Cash Flow. Typically, a sale is structured so you can cover the debt service, take a reasonable salary and have some left over to take the business to the next level. Start-ups could take a year or more to achieve a positive cash flow. Seller Training. An owner can show you the ropes of the business, introduce you to everybody and make sure it’s a smooth transition. Possible Owner Financing. The seller may finance a portion of the purchase price. Improved Chance of Success. Buying an existing business can be safer than starting from scratch because start-ups have a high failure rate. Ready to Buy a Business in Florida? Finding the right business to purchase can be a daunting task without help. Assembling a team of experts, including a Business Broker, an accountant and an attorney will help you avoid headaches. If you’re ready to invest your resources in a business of your own, Cress V. Diglio is ready to help you navigate through the entire buying process. Buying or Selling a Franchise? 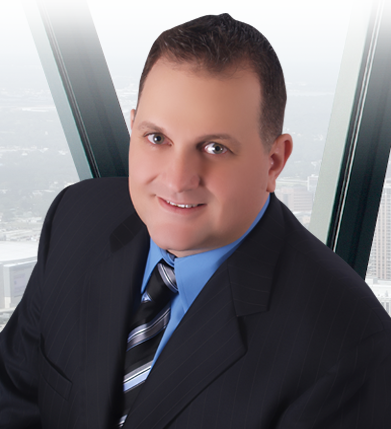 Mr. Cress Diglio can assist franchisees and franchisors in the acquisition and sales of their businesses. As a franchise broker, Mr. Diglio is able to match people looking into becoming franchise owners with franchise opportunities that are a good fit. If you’re interested in exploring franchise ownership, or you are a franchisor wanting to sell new or existing franchise units and area development territories, contact Mr. Diglio today. Mr. Diglio has a franchise background and is knowledgeable about the franchise process. He’s certified to teach Business Brokers IBBA Course #110 Selling New and Existing Franchised Businesses. Cress V. Diglio has successfully sold franchises such as Firehouse Subs, Comfort Keepers, TCBY Yogurt, 1st Light Homecare, Huntington Learning Center, Tropical Smoothie Café and many more. Cress V. Diglio is a proven Business Broker who gets the job done.